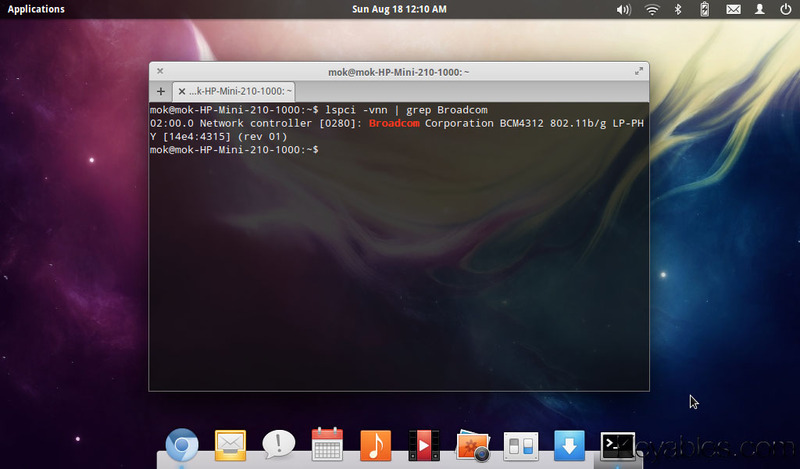 The Broadcom bcm43xx wireless chipset does not work out of the box on most Linux distros. It is frustrating the lack of WiFi network supports after installing elementary OS Luna on my HP mini 210 which equipped Broadcom BCM4312. To get the wireless chipset starts working again, we need to install an appropriate Broadcom wireless driver. Firstly, use an Ethernet cable to connect your laptop/netbook to modem router. Restart the laptop after the driver is successfully installed. Done. I concur with the first commenter. In Elementary OS it does not work. I also found that ElementaryOS(Luna) does not "see" a USB Wifi adapters. Running "lsusb" in terminal would show that the adapter was not attached. I tried in Peppermint 7 OS and name of the wifi adapater and Broadcom drivers it uses apperared. There is a BUG in Elementary OS where wireless drivers and adapter detection is concerned.